Congratulations to our Clients Robert Matthew and All The Above Clothing for their feature on Beauty News NYC! Work the Gym-to-Street trend with styles from Robert Matthew and All the Above Clothing. A great piece of jewelry also adds dimension to a casual â€œgym to streetâ€ look. 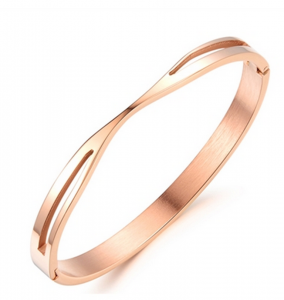 Ultra sleek and chic, Â the Ashley bangle is a great addition to class things up without overdoing it! Simplicity is key here, with a unique design that is sure to earn some compliments. Check outÂ their luxurious collections of jewelry, scarves, wallets and handbags at robertmatthew.com! All The Above Clothing offers easy basics in comfortable cotton that you can combine with loose bohemian pants or edgy leggings. Each piece in the shirt collection is inspired by a quote or lyric, which is then turned into an abstract and cryptic design. Check them out atÂ ata-clothing.com!